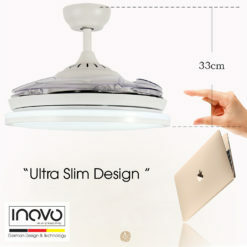 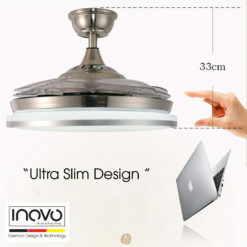 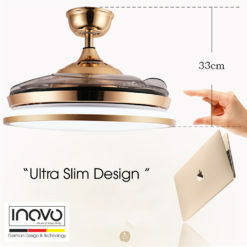 INOVO® Ultra Slim Design only 32cm thickness from ceiling. 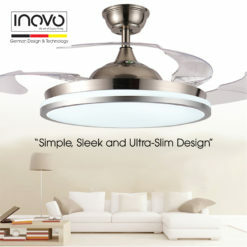 Suitable for low ceiling houses or with false ceiling installed. 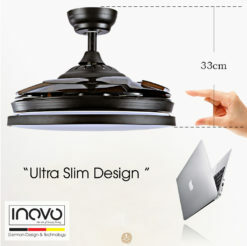 We include 2 fan pole (10cm and 20cm) for you to interchange between low ceiling and high ceiling. 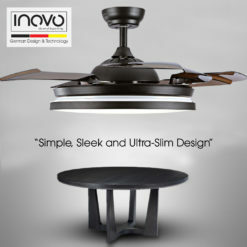 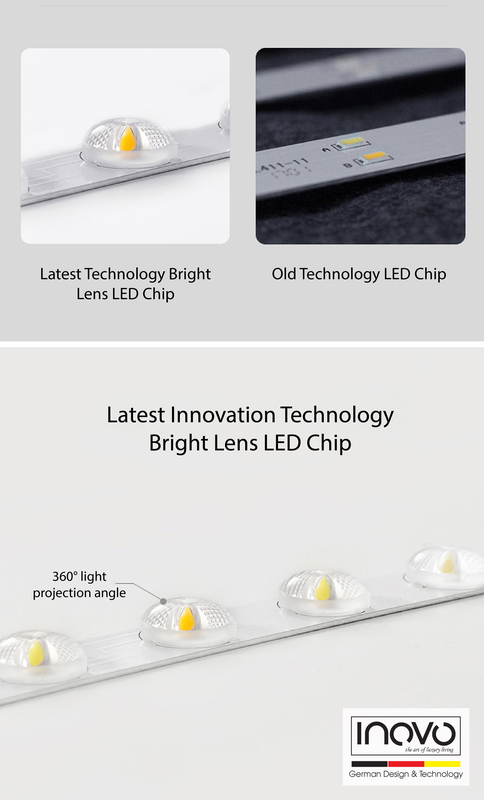 It is extremely quiet, powerful and energy efficient. 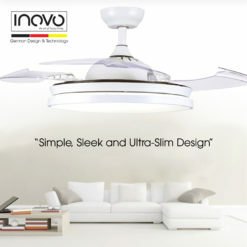 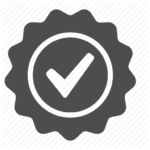 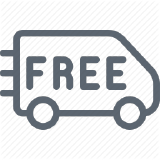 DC Motor use less energy – up to 70% less than a standard AC fan. 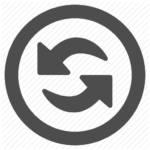 This help save energy, and in turn, save money. 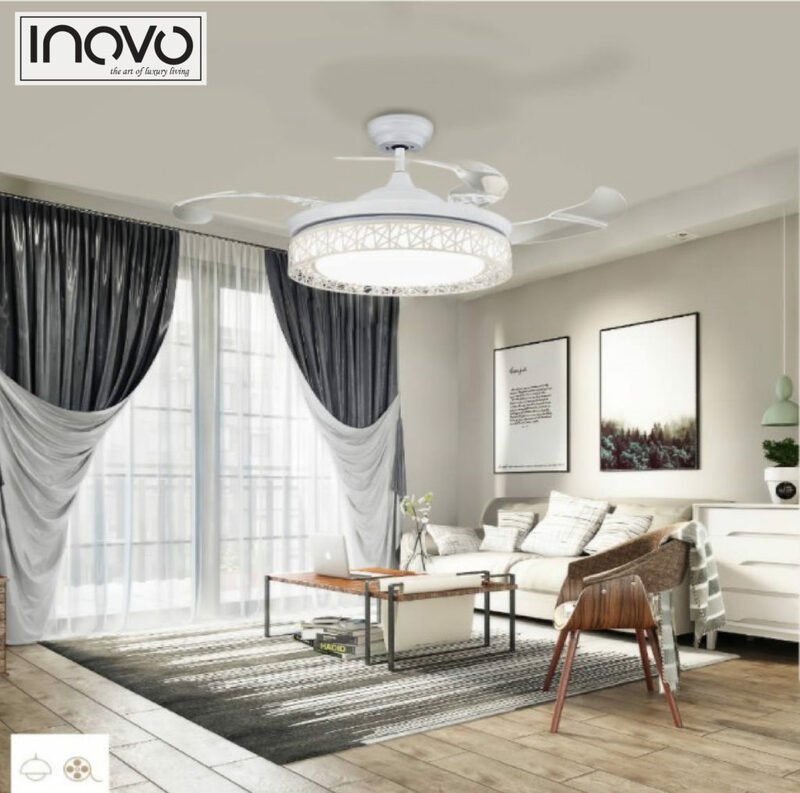 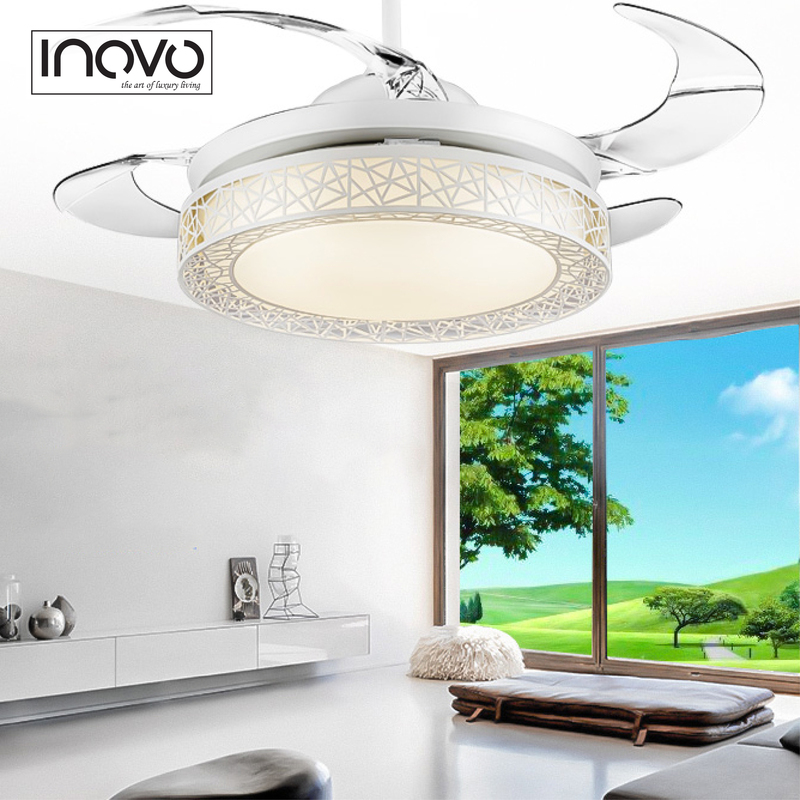 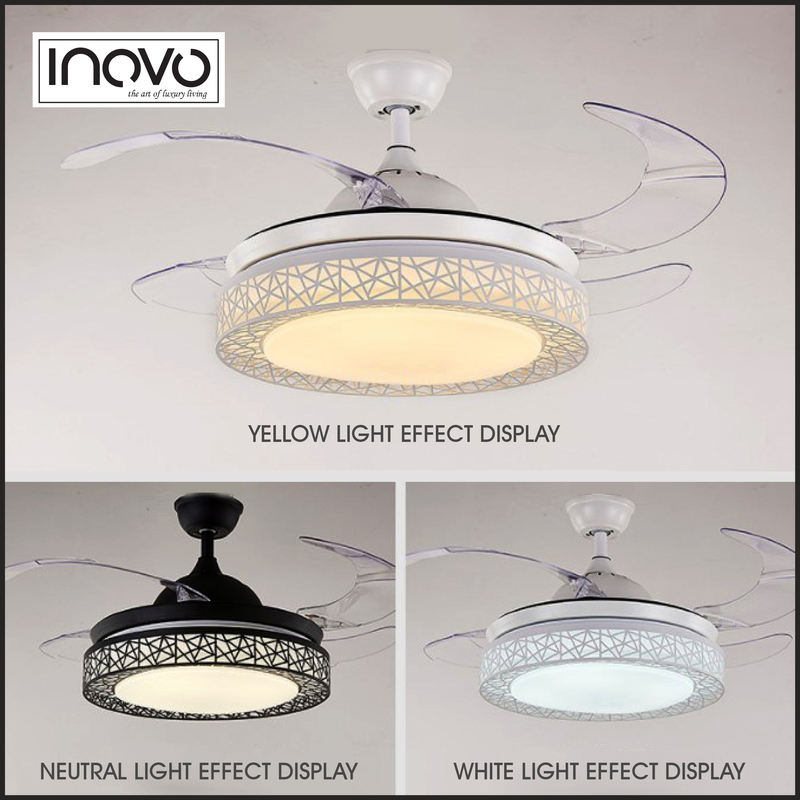 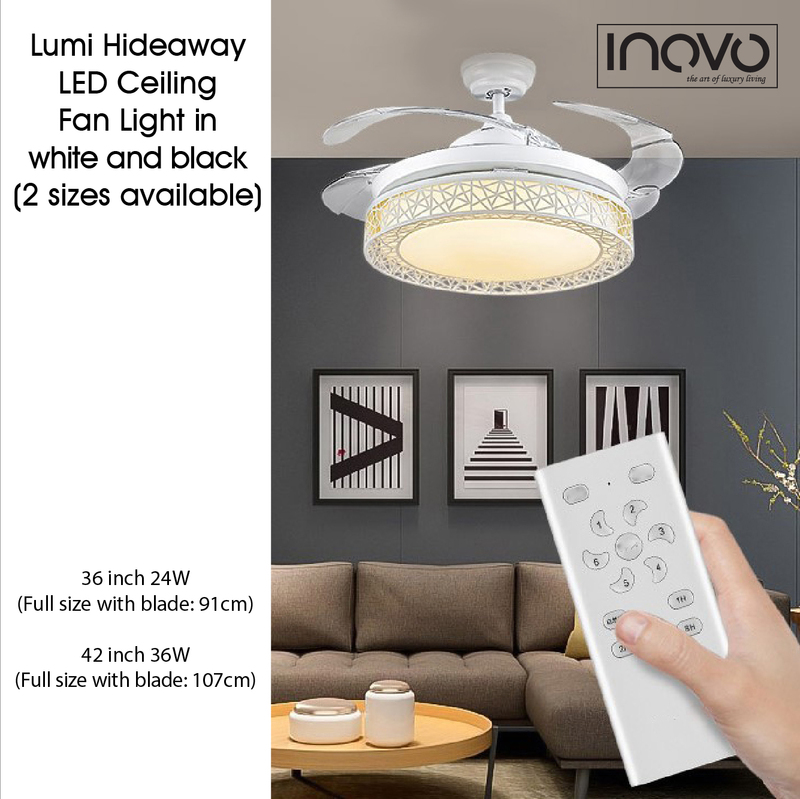 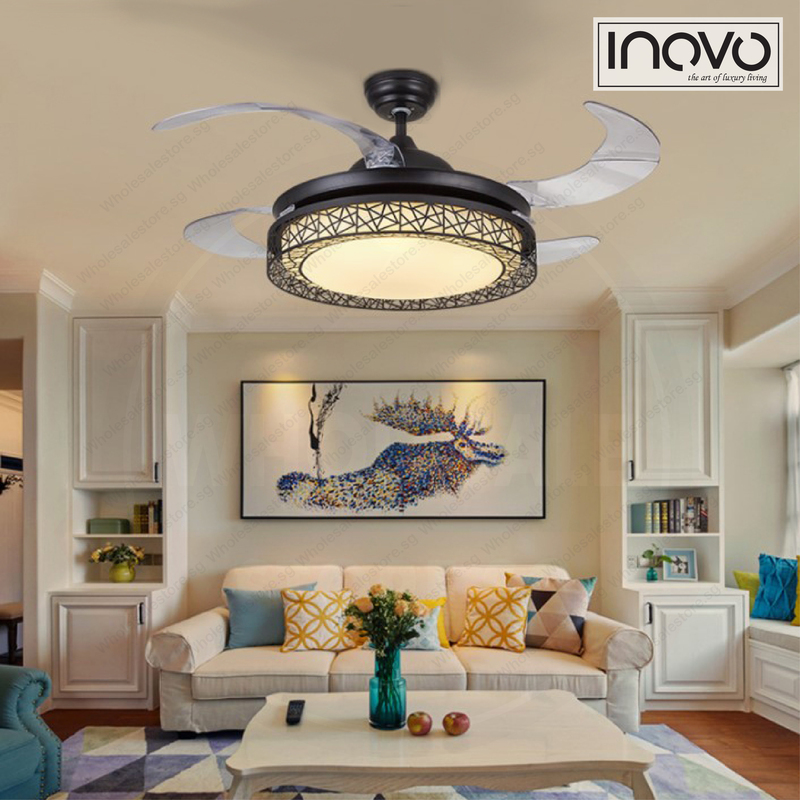 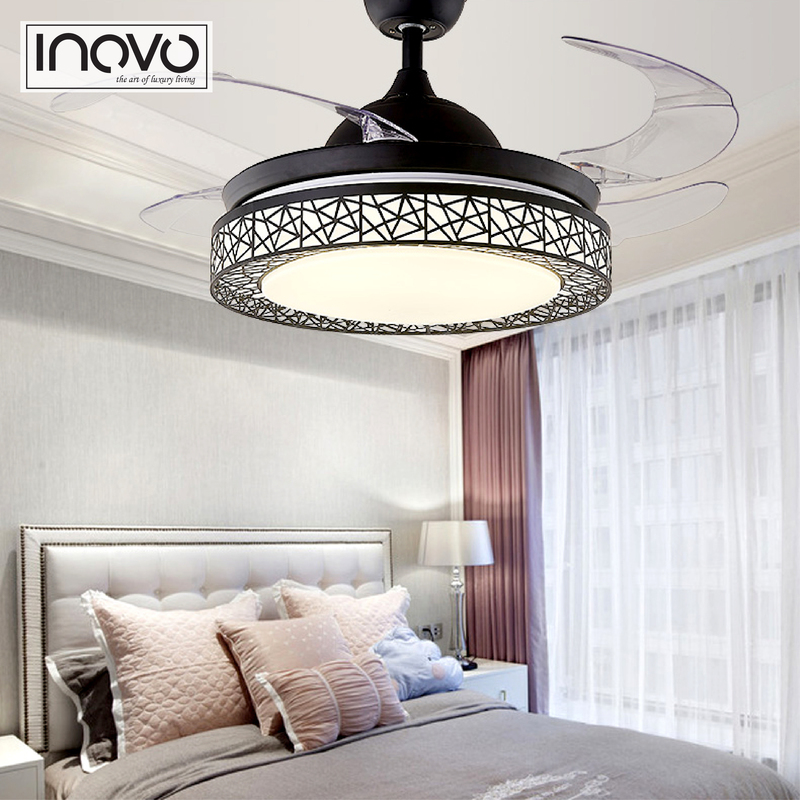 Apart from providing a clutter free environment, INOVO® Lumi Hideaway provides a very different environment in comparison to standard ceiling fans or lights. Using quality materials and finishes, INOVO® Lumi Hideaway sets its own standard from an interior design and styling perspective.